Tools needed: Ratchet & socket set and possibly pliers. 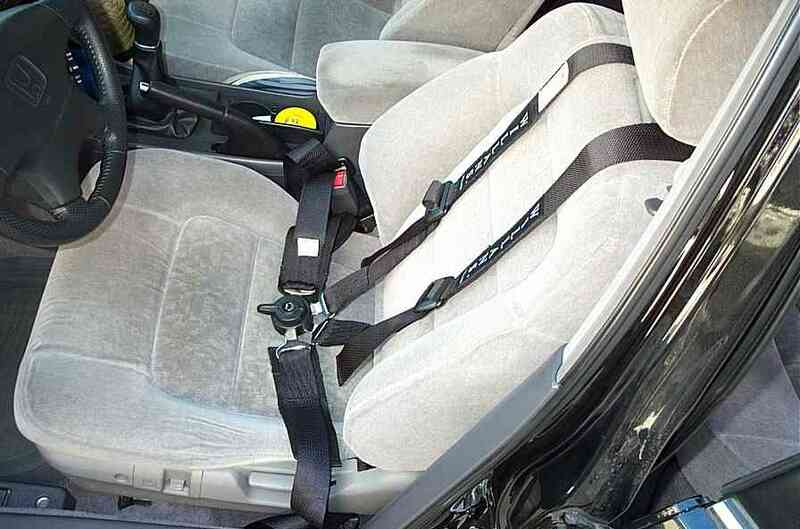 *The two forms of harness installations are either bolt-in or snap-in. The snap in form allows me to remove the harness completely when not in use. I usually just toss it behind my seat unless I get selected for carpooling among my friends. -The harness that I installed in my car (also the write up this is for) was a 6-point willans 2" harness. 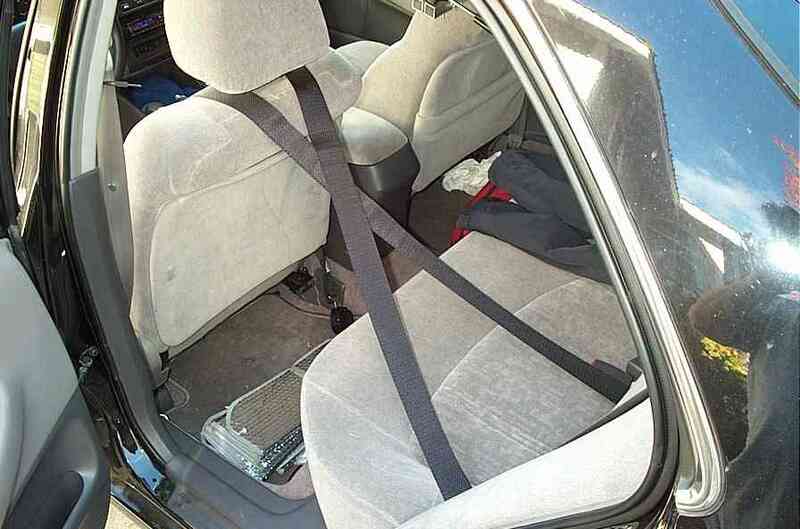 I don't use the sub-belts so essentially, it's a 4-point harness. Step1: Installing the shoulder harness. 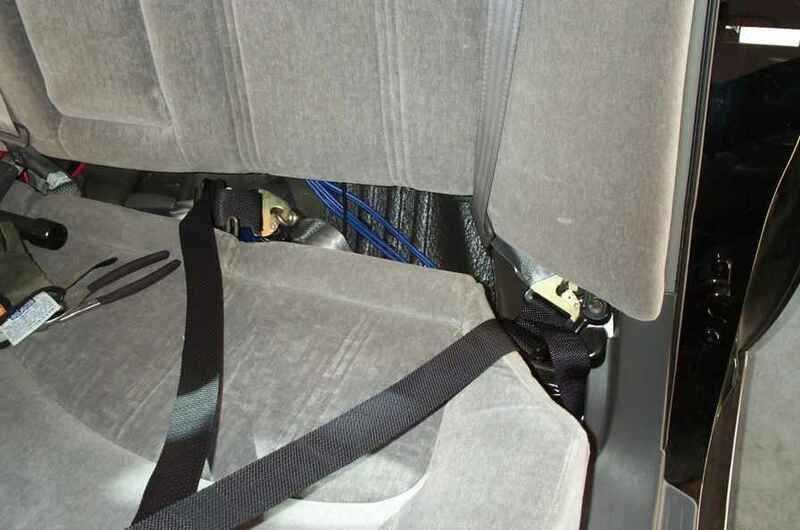 Remove the rear seat cushion. (The directions are listed in Step2 of the SPRING INSTALLATION GUIDE). Step2a: You're going to be using the 20mm eye bolts to replace the two bolts securing the seatbelt latches in the center and the shoulder belt next to the door. Once you screwed on the eye bolt as tight as you can by hand, use a plier to turn the eye bolts until it's facing perpendicular to the direction the harness will be pointing. -The center one should be at a 45 degree angle -The one closer to the door should be as a slight angle. About 20 degrees. 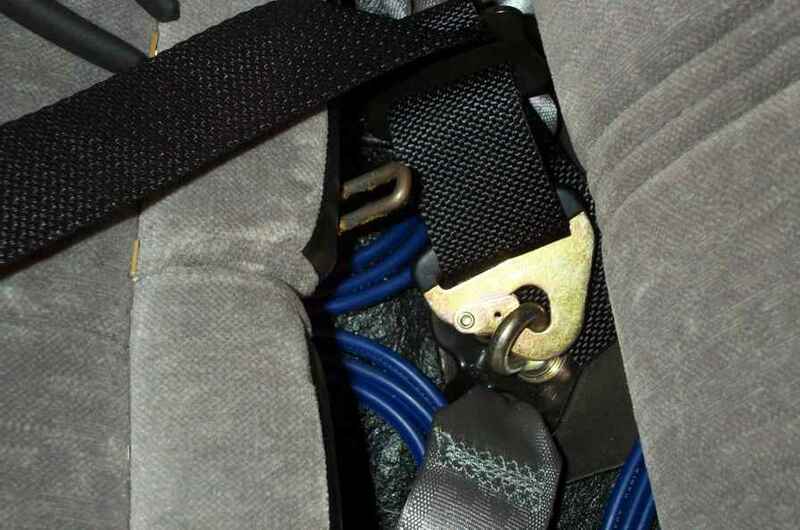 Step2b: If you're using a 3-point system like Sparco's 3-point double buckle system, then you'll just be replacing the bolt closest to the door. Step3: Left lap belt. 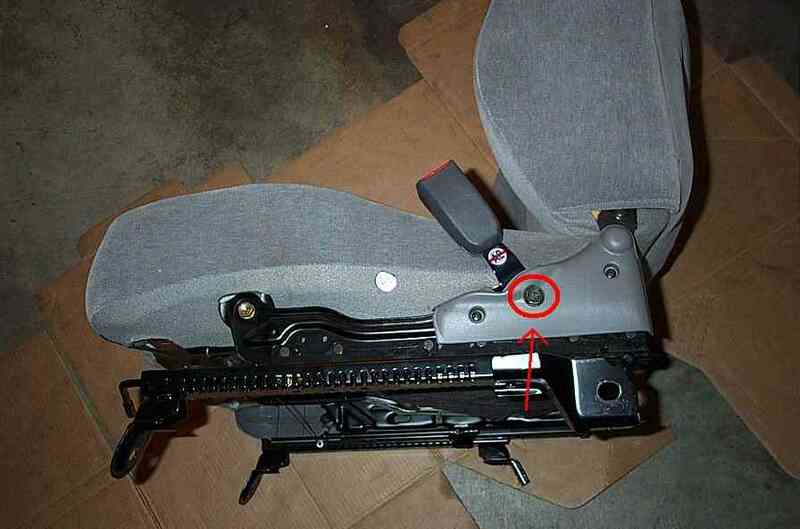 Replace the bolt on the lower part of the shoulder belt with the 50mm eyebolt. Once you remove the bolt, you'll notice that the bolts are longer than the ones you replaced in the previous step. Make sure to transfer all the washers and lock washers that's on the factory bolt. Again, once you tighten the eye-bolt by hand, turn the bolt with pliers to the final angle. In this case, it should be about 45 degrees like the pic. 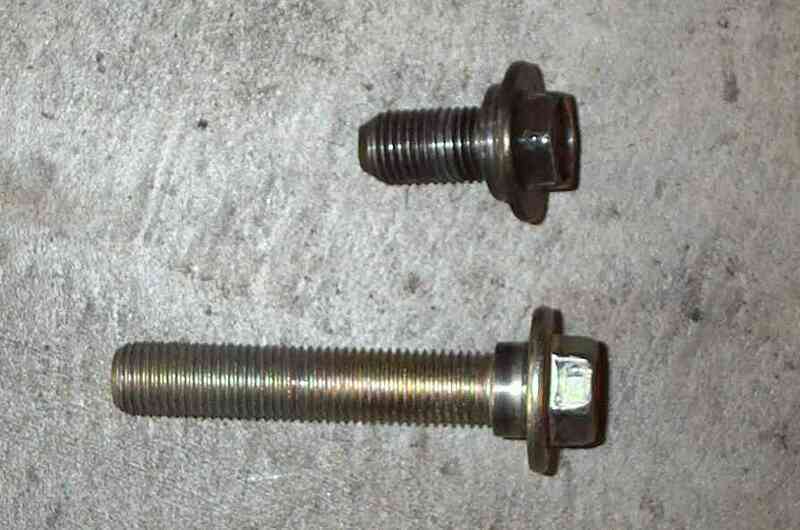 Comparison: 20mm seat belt latch bolt (top), 50mm B-pillar belt anchor bolt (bottom). Step4: Right lap belt (closes to the center). It'll probably be easier if you unbolted the seat so that you can tilt the seat sideways for better access. 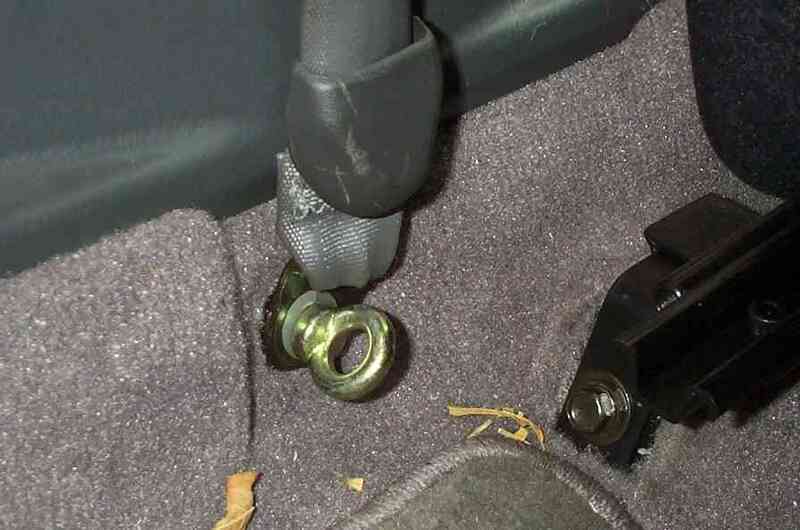 Remove the plastic piece covering the seatbelt latch (held by 2 screws) Replace the seatbelt latch bolt with the 20mm eyebolt. Transfer all the washers and lock washers to the new eyebolt. Step5: Snap in the harness and drive! !